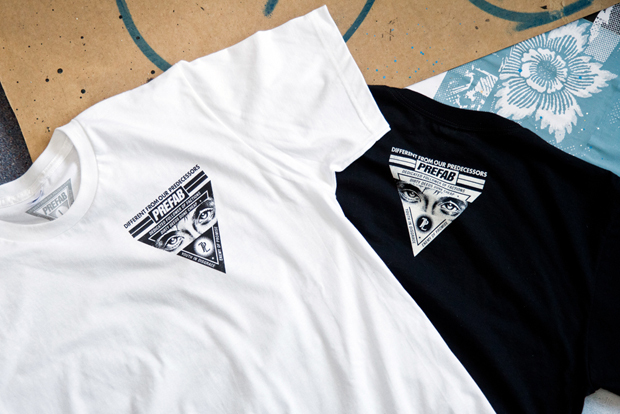 Newcastle based art collective Prefab77 go back to their roots with two limited edition tees featuring a pair of their most popular designs. 2010 was a big year for the group, with solo shows in both their home town and the slightly further from home state of Kentucky, and a massive installation at the US Surf Open, and Prefab are kicking off 2011 nicely with this double drop. 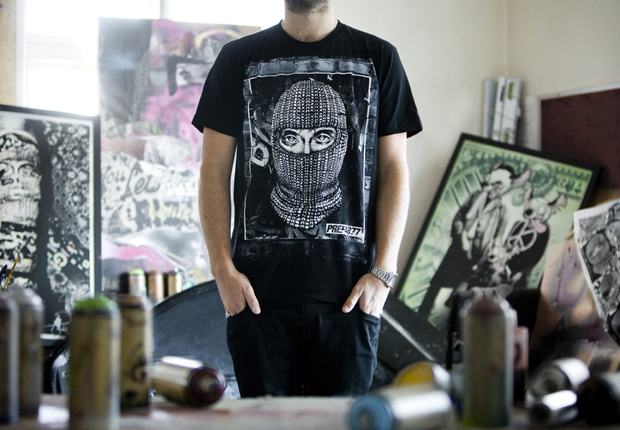 The ‘Heist’ tee features a large Prefab Heist screenprint on the chest, with a smaller, trianglular Eyes print on the reverse, and comes on black American Apparel tees. 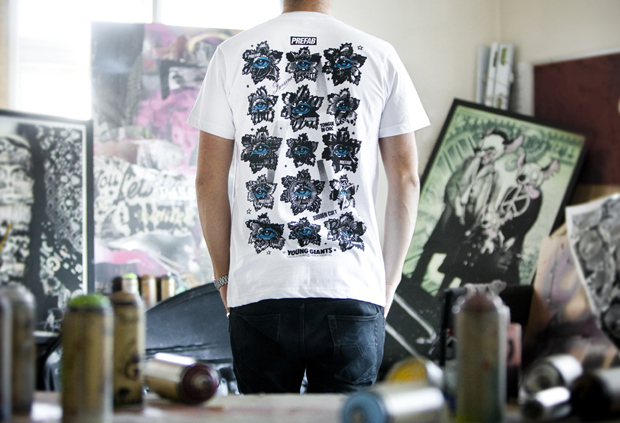 The ‘Flowers’ design comes on white American Apparel tees, featuring the triangular screenprint on the chest, and the Flowers design across the entire back. Both tees are sick, but a little more expensive than you’re average tee at £35 a go – however, they do come packaged with a reflective sticker hang-tag and a signed, screenprinted Prefab77 poster, so you get your money’s worth. Grab yours now online from Prefab77 for a limited time only.